Let’s begin with my apology. In ISTM #15, I referred to Synthesia Technologies as a purveyor of Deep Fake news videos such as this YouTube Video of Barack Obama appearing to say things the former president never said. When I first saw the Obama video, I quipped on Facebook that seeing is no longer believing. I still think this is true and uses of AI to create such deceptions increasingly disturb me. It wasn’t that I hadn’t done my homework: My source was The Times of London, a usually credible source, but not this time. Synthesia had nothing to do with the Obama video, which was built with cheap open source software, meaning it is as accessible to malevolent people as guns are in the US. The company only came out of stealth last Christmas and The Times gave it heat for a clip that has been around far longer and had nothing to do with them. Last week, I spent some time conversing with Victor Riparbelli, Synthesia founder and CEO. We started by discussing Deep Fake News. “Our technology has never been used to deceive, and it never will be,” he vowed. He convinced me that it’s almost a religious thing with him: he is devoted to the right side of the ethical issues. Victor is Danish-born and London-based and describes himself as a producer of Synthetic Media. The nascent company is conducting its first pilot project for the BBC. He told me Synthesia’s competitive strategy is to serve as the good actors in what is currently perceived as a tawdry business. The startup promises to use no video without the permission of the people in it and it is working on forensic and verification solutions to detect malevolent use of AI technologies. Detection. Using forensic and verification technologies, it plans to enable watermarking of videos the way Twitter authenticates its online accounts. Development work is still in the early phases and the company is still looking for suitable partners and the best approach. “Both problems are huge and difficult by themselves,” he said, and collaboration is the wisest route. Production. Synthesia creates facial reenactments, such as you see in my lead video clip above. Primarily, their customer is the entertainment industry. So, the next time we see a Star Wars iteration, Synthesia’s AI-powered technologies, might give us some future Jabba the Hutt (right) articulating more clearly that will be produced faster at a lower cost. Brad Pitt can now create content in his living room and then send it off to a movie producer who simply splices it into the appropriate scene, saving the time and costs of travel. It seems to me that both detection and production of synthetic media have the potential for becoming quite large very soon. And already there are new applications for business and consumers. I am no slave to fashion, but even I have heard Miquela Sousa (right). She’s 19, Brazilian, and now living in Los Angeles. She’s @lilmiquela on Instagram where over half a million fans follow her. In 2017, her hit single Not Mine reached #8 on Spotify Viral. Like other luminaries, she leverages her personal brand to support social causes. 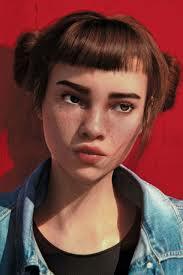 You would think she was making a bundle, but the problem is she is not real: Miquela is a virtual celebrity, incorporating facial reenactments on behalf of an unknown someone. It remains a mystery both on who’s voice is being synched and who is making that bundle. Miquela is not a Synthesia creation, but Victor argues she would be tamper-proof if Synthesia had built her, and she would cost less. He displayed more than a little passion about the democratization of synthetic software so that everyday people can “bring things to life without the barriers of budget and special skills.” Currently, target customers may be media companies like the BBC or Hollywood movie makers, but I felt that Victor’s real passions involve using the controversial software to better serve the needs of everyday people. I consider the concept of a universal translator to be among one of technology’s Holy Grails. If you could speak in your language and I could hear it in mine, then the universal barrier between cultures and nationalities can be eroded or someday dissolved. In the above clip, an American man proposes to his Chinese-born sweetheart in English: Then Synthesia uses AI to video record what it calls a facial reenactment so that the groom appears to be speaking perfect Mandarin. The video is sent to her parents who speak no English, so that they can see the love he feels for their daughter. It’s touching but more important, reveals all sorts of further possibilities. I sometimes conduct online classes where my audiences speak in several different languages. According to Victor, it is a relatively short period of time before I will be able to have my delivery recorded in multiple languages making it easy and inexpensive to facially reenact my talk in several languages. This, of course, is applicable to all sorts of business and educational scenarios. Victor displayed a big picture vision, and the sort of passion that makes me enjoy talking with entrepreneurs. He’s looking ahead in ten-year modules at times when Synthetic Media will be used by everyday people with ease and low cost. He envisions every YouTube clips being posted in multiple languages automatically, but verified that they are being posted with permission and watermarked for protection. To him, he is on a mission to change the world for the better and he has created every safeguard that anyone can think of to ensure that no Synthesia production will ever be abused and that no one’s image will ever be used without permission. Yet nearly half the time we spoke together was on ethical concerns. While there may be a halo of good intentions shining on this nascent company, it is going to have to confront shadows of doubt and suspicion many times over. It is already obvious that other Synthetic Media developers may not share Victor’s apparent goodwill and high integrity bar. As the unknown sources of the deceptive Obama video shows. It brings me to a central issue with technology: When it comes to good vs evil, it serves both interests. When nuclear power was first developed it was clear that it could provide electricity to the world without polluting the world, but the first demonstration of what could be done was a bomb that killed 100,000 people in a flash. Now we have the advent of Artificial Intelligence, where Synthesia is but a modest example. Will it be used for good or evil? The percentage of online sales vs in-store is only a tad over 12 percent, but what alarms tangible merchants is that the percentage has tripled since 2009 and the rate of erosion is accelerating. While retail has been using new technologies to improve backroom efficiency and customer data collection, there has been very little done to improve instore experiences, which seems to me to be the survival issue for branded retail stores. 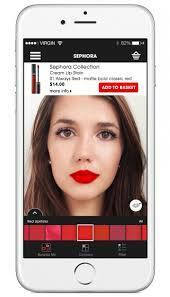 Forbes, has published a list of the 20 best examples of AI to enhance shopper experiences. I would hazard a guess that these are close to all the examples you can find of retail using AI. It’s a topic I have followed closely for the last ten years and three examples are in Age of Context, a book I published with Robert Scoble in 2009. What is probably more important is that I would guess each of these 20 efforts has produced favorable measurable results. And I bet there are less than 20 examples of special computing in use once you eliminate 3D measuring of couches for furniture shopping. What I sense now is a turning point. Tangible retail finally gets that it is in a change-or-die situation. It is likely to be a slow and painful demise. It seems to me that its time to embrace these new technologies in ways that give the next generation of potential new shoppers the experiences worth talking about. I have long been a fanboy of Boston Dynamics. Most people know them because of those videos showing robots that look like dogs or open doors or display acrobatic capabilities. While these video clips are entertaining and elicit a surprising amount of human empathy for AI-driven machines, there is a much more serious intent going on. 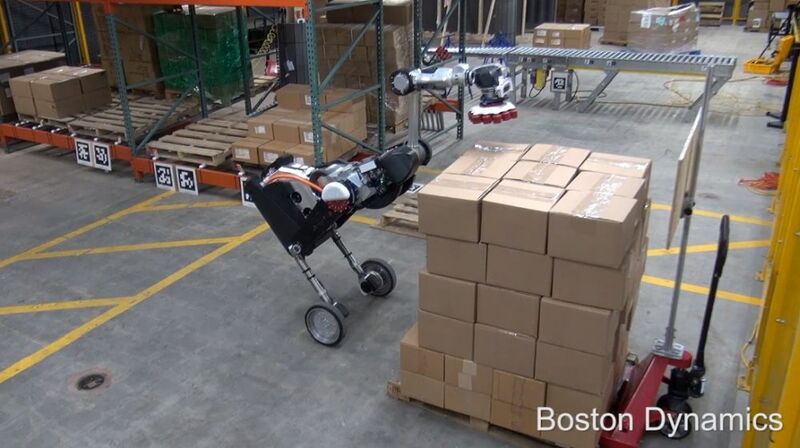 Boston Dynamics is a grand-daddy of the robotics industry. 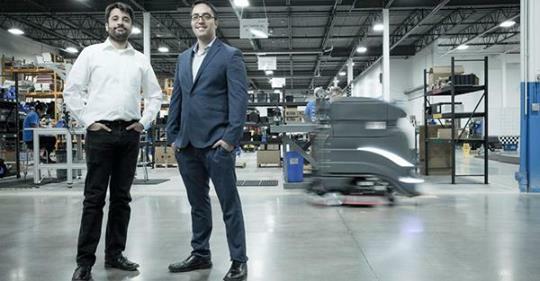 Since 1992, it has been dealing with the complex and daunting problem of getting robots to be aware of their physical surroundings as they move about, allowing them to go through doors or avoid gopher holes in open fields. The evolution has been painfully slow. Google bought the company for a while, but then spun it back out as the company’s patience waned. I think Google would have been wiser to cut its losses on Magic Leap and double down on Boston Dynamics, as this Engadget article shows in its update on the odd-looking, but clearly useful robot called Handle. Robots continue to expand steadily into more and more factory and agricultural endeavors. For example, Avidbots, a Canadian company has introduced NEO (right) a robot that weighs in at over half a ton. NEO cleans up difficult industrial messes. It is no surprise that most of the job displacement happening due to robotics is with tasks that people don’t want to do because the pay is low, and the work is either dirty or dangerous. That doesn’t mean the laid-off workers are thrilled with their situations. Loss of work is one ethical issue, but apparently there are other deeper ones as my next item explains. Vatican Ponders: Do Robots Have Souls? 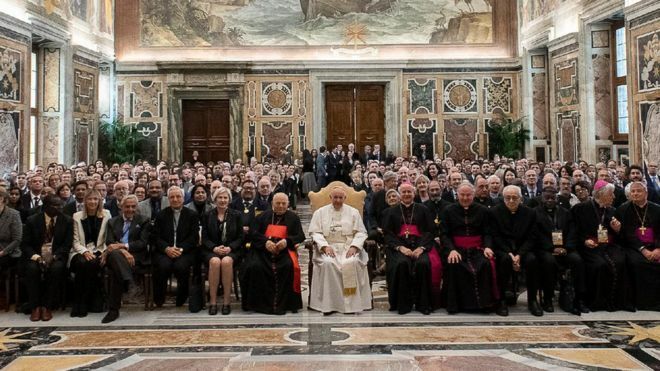 If the Church decides yes, they have souls, could one become Pope? If they just practice the faith, will they be able to practice birth control? Will they need to? Will the killer robots being designed by the world’s most formidable armies have souls, can they be arrested for murder or other war crimes? How will we execute a robot? If they have a real soul, then will they be able to perform like Aretha or James Brown? Isaac Asimov hits a much closer note with his three laws for robots, the most important is that a robot will never hurt a human, a rule that would be nice to also impose upon humans. JD Lasica was among the people who originally got me blogging. Later, he got me started on my own path to Authorhood when I edited portions of his first tech business book. I was impressed last year when he changed venues and came out with Biohack, a tech thriller in the tradition of Ready, Player One. I absolutely loved his protagonist, Kaden Baker who is the bravest and most tech savvy female protagonist since Lisbeth in the Dragon Tattoo series. 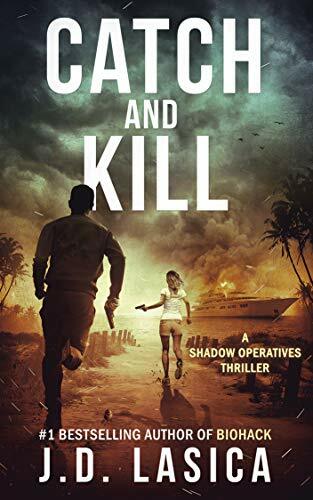 Lasica was wise to keep Kaden as the hero of Catch and Kill, his second book in what he now promises to be an ongoing series. The book released last week, was rated as at 4.8 stars after the first 29 review at ISTM deadline. JD did his homework, talking to experts in multiple fields from weaponry to spatial to immersive and AI technologies. The Catch storyline depends upon his vision of how this tech will emerge in the short-term future and I agree with his vision of how headsets, avatars, surveillance and communications will be driven in the near-term future. So if you read ISTM to get a handle on what is coming, I suggest you give this book a read to see where it’s going: And besides, it’s a damn good read. The Kindle version is promotionally priced at just $3.95. If you read on my recommendation and don’t like it, I will refund the price in full via PayPal: just email me and say “Catch: Refund” and paste your Amazon purchase confirmation. The only stipulation is that you are an ISTM subscriber.